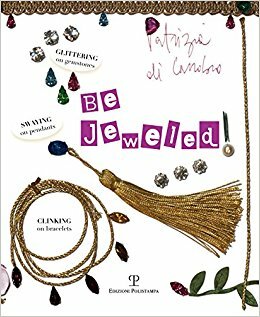 In her third book, Patrizia di Carrobio tells tales of a life well lived through jewelry, be it costume pieces or crown jewels. Di Carrobio combines memories of her own life in jewels with observations and tales of adornment in history, fashion, literature and art. The result is a tribute to jewelry filled with whimsy and wit, an ornamental guide for women of all ages, from all over the world. Be Jeweled is also the first of Patrizia's books to be translated to English. Patrizia's second book, Conoscere i Gioielli (Knowing Jewels) offers a wise and often witty look at precious and semi-precious stones and costume jewelry. From diamond engagement rings to world-famous colored stones to your grandmother’s pearls, this intimate and personal book offers practical advice about wearing, buying and giving jewelry. Filled with sparkling insights and thought-provoking stories culled from Patrizia's 30 years of working with clients, this book is a treasure for anyone who loves jewelry. You want to buy a ring. But what size diamond? What’s the right setting? What if you and your to-be-wed disagree? What if you have a family stone that your spouse, frankly, hates? In this personal and thorough guide, Patrizia di Carrobio walks couples through everything they need to know to choose and purchase the right engagement ring for them. Filled with colorful stories of real-life couples, Diamanti also shows how choosing an engagement ring provides insight into the person you’re about to marry. A ring is more than a ring: it’s a joint decision and one that can foreshadow the facets of your life to come.